Everyone now knows, thanks to Adam, "You only YOLO once." 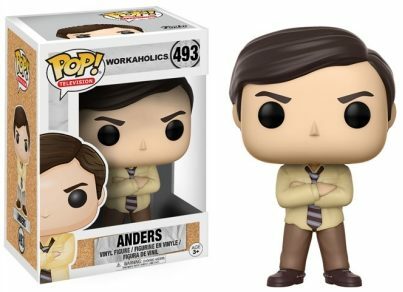 So, picking up the Funko Pop Workaholics set is a must for any fan of the sitcom. The release features main characters from Comedy Central's hit show that ended in 2017. 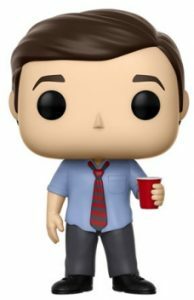 As the ringleader, Adam, portrayed by Adam DeVine (Pitch Perfect), is ready to go with his blue dress shirt untucked, tie loosened, and, of course, a red Solo "party" cup in his hand. Holding a bottle of beer, the curly-haired Blake is standing with his half-open eyes, wearing a short-sleeve dress shirt, tie, khakis and a pair of black Chucks. Lastly, Anders is shown with a yellow shirt, striped tie, brown loafers, and his arms folded across his chest in clear disapproval of his friends' antics. 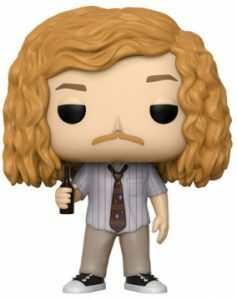 Shop for Workaholics DVD/Blu-Ray options on Amazon. 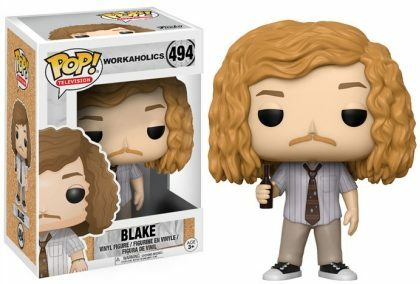 Workaholics follows the daily lives of three slacker roommates—Adam, Blake, and Anders—who are anything but dedicated workers. The trio, who also spend their weekdays together as telemarketers, are constantly scheming to shirk their responsibilities at work and home. 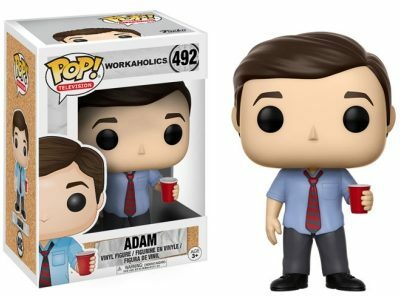 Officially announced at the 2017 London Toy Fair, the Funko Pop Workaholics figures are numbered as part of the Pop! Television line and stand approximately 3 3/4" tall, although Blake’s hair could make him a little taller and/or wider.